I loved the Skyblock maps made by Noobcrew back in the day, but there wasn't really an end, literally. 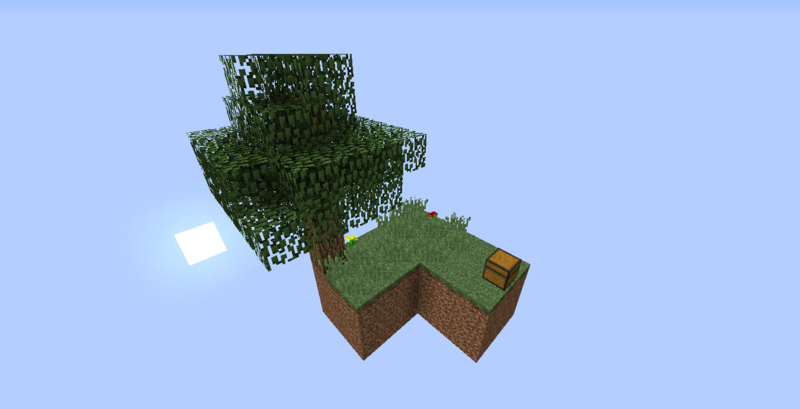 I do NOT own the Skyblock idea! I only made this map to add new possibilities to the original map. If anyone has some new challenges I could put in this map, just tell me below! 52) Make a gold farm in the nether. 53) Cure a zombie villager. 54) Spawn an iron golem. 55) Use redstone in three contraptions. 56) Find a slime chunk and create a slime farm. 57) Make a lava aquaduct system. 58) Go to the end and defeat the enderdragon. 60) Spawn and defeat the wither. Q) Where is the nether fortress / end portal? Q) Can I get an infinite water source? A) Yes you can, the main island isn't the only island. Q) Where can I get diamonds? Q) How can I get ___? A) Look it up on google! There are many places that tell you how to get specific items in Skyblock. How do you get clay in this one if this is even possible? would be nice to be able to create terracotta blocks and bricks or use it for pots. Just want to know if I'll need to tweak the design to use acacia wood instead of bricks. The same question about netherrack. also, what does "creaper pet" mean? just catch him and make him unable to explode using an exploit? Clay is not available at this stage, no, though it may become a drop of a certain 1.13 mob. Also, yeah, that's exactly a creeper pet. You can look up how to get one on google. Hello! I play in Skyblock map more over 1 year. My world is increased. One thing I don't have. Diamonds. Diamonds does not found on this map, there's not present a diamond ore. To apply a third-party mods? No. Build bridge to mainlands? No. There are rules violations. We can't craft enchanting table - we can't to enchant things, we can't play these discs dropped from creepers - player does not craftable. we can't do many things without diamonds! There are 4 files, slightly to change a looting from entities. 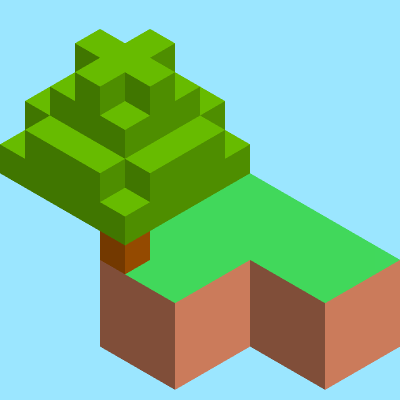 For example, zombies can drop a gravel block - gravel craft to earth - we can make various big isles with various vegetations, forests, savannas, etc. In last version of Skyblock wither-skeleton file appeared, to loot a wither skulls (to wither-powered autogenerators). Let's move on further! There are endermens. Can you make a rare drop from endermens - diamonds? The conditions of dropping are exactly the same of wither skeletons. We can buitd a endermen farm! Dude, end cities exist. They got loot. No, there are a natural generation. We can't obtain diamonds without permanent enlargement of habitable territory. I found a temporarily solution of this problem - uncrafting table added with mod. Now I can trade with villagers and buy diamond tools and uncraft its to diamonds. There are rules violation? or no? this uncrafting table? Go to the end, defeat the enderdragon, go through the end gate, and find an end city. It says i can't run the commands because I don't have permission! What can I do? I created an 1.12.2 Modpack in the Twitch Launcher and this map is not listed in the Maps part. So please add 1.12.1 and 1.12.2 to the Minecraft versions of the files. It is a very good map, small but addictive! So, there's no extra chest in the nether, right? I was soooo excited when I first got THREE cows spawned in a pack! Where is Ender Portal in v.3.07? Where is nether island? Did you install the update package or did you download the WHOLE map? Also did you install it in the saves folder? Also what files are inside the map folder?